The Ravens are going to “lose” two stalwarts of their defense, Terrell Suggs (who has played for the team for 16 seasons) and C.J. Mosley (five seasons). Under previous GM Ozzie Newsome I think the Ravens would have found a way to sign at least one of those players. Let me quickly add that I am not saying that would have been the “right” move. In fact, I think Newsome was a little too fond of veteran players. Although the salary cap doesn’t really even things out among the teams at all times, because at any given time teams have disparate amounts of cap room, teams cannot prudently sign Grade B players for Grade A money or Grade C players for Grade B money. However, that’s exactly what happens because of the different amounts of cap space. Like Jerry Seinfeld said a fan is only rooting for the laundry, anyway. According to this story on motor1.com a fleet of C8 Corvettes were recently tested in Arizona with one passenger of note, GM President Mark Reuss. The article notes that if the passenger was really Mr. Reuss then the C8 reveal is likely to be soon, whatever that means. Photos from the article are copyrighted so I cannot legally show them here. What I can tell you is that the photos, granted in camouflage, look very much like a mid-engined Ferrari 458 or 488. A mid-engined layout means that certain design elements must exist and that others are impossible. 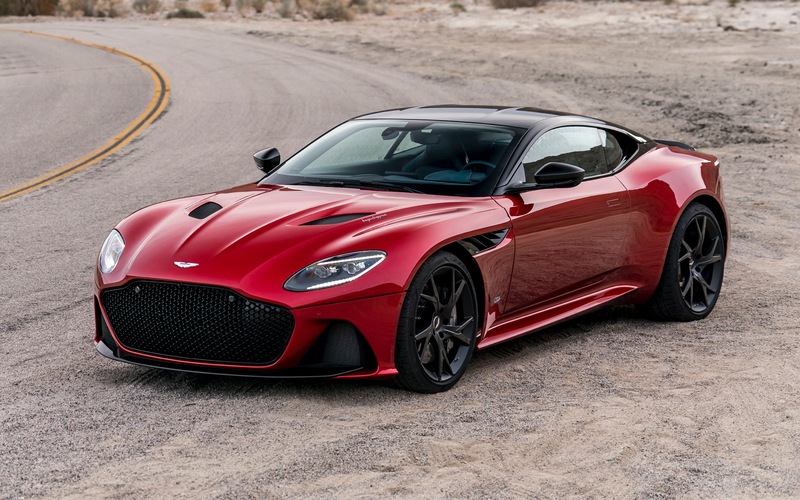 From gtspirit.com a picture of the stunning Aston Martin DBS Superleggera. Has there ever been an ugly Aston? I don’t think so. Even Ferrari has made the FF, which I think is a “neither fish nor fowl” design. This car is basically a DB11, but with some tweaks including wider tires. The engine has also been tweaked and now produces 715 HP. Although one can’t see the suspension on the Superleggera it is different from the “base” DB11. How much? The base MSRP is just $308,081. Yes, even at that price one can pay more for options like a carbon fiber roof ($4,545). Anyone want to offer an opinion on this or any other Aston Martin? Once again I ask that if you are reading this blog, please read the comments for each post. They are as much a part of Disaffected Musings as the posts. Professional football is the undisputed king of the American sports landscape. Of course, that has not always been the case. Anyway, while I have not been watching the AAF I understand that its TV ratings have been respectable. The AAF wants to partner with the NFL. So did the All-America Football Conference when it first formed. Not familiar with the AAFC? Where do you think the Cleveland Browns and San Francisco 49ers started? I have always been fascinated with the idea of leagues that would compete with the establishment. Up until just a few years ago I would create such leagues on paper complete with league rules, team nicknames and yearly standings. The last one I created was called the North American Football League (NAFL) and it was a spring league that wouldn’t quite compete head-to-head with the NFL, like the AAF. Like I keep quoting from the movie Diner, if you don’t have dreams you have nightmares. I have nightmares, anyway, so I might as well have daydreams. OK, from the trident on the front one should be able to tell it’s a Maserati. 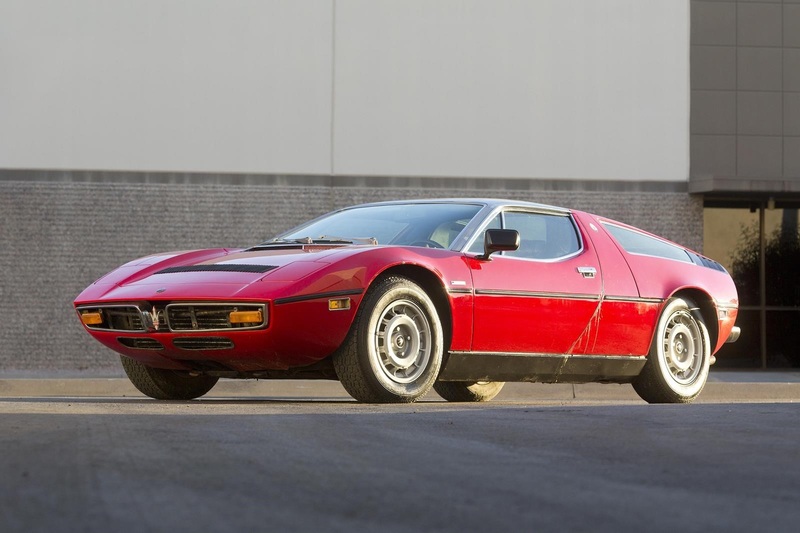 From supercars.net a picture of a Maserati Bora. On this day in 1971 the Bora was introduced at the Geneva Auto Show. At this time Citroën had a controlling interest in Maserati and wanted to develop a mid-engined two-seat sports car to compete with the Lamborghini Miura and the De Tomaso Mangusta. At its introduction the Bora was powered by a 4.7 liter/288 cubic-inch V-8 rated at 306 HP/340 LB-FT of torque. It was a DOHC design with four carburetors. (Good luck tuning the car!) In 1973 a 4.9 liter engine was produced that would meet US emission standards. Actually, according to Wikipedia the Bora was introduced with two engines (a 4.9 liter spec as well), but according to automobile-catalog.com only the 4.7 liter was available at first. I’m going to trust the latter, but I could be wrong, of course. In any event, the Bora was produced through 1978 with about 560 made. With all of the speculation surrounding the possible introduction of a mid-engined Corvette for the eighth generation it is worth noting that many sports cars have had mid-engine configurations. The rumors about the C8 Corvette include the notion that GM/Chevrolet engineers believe they have reached the limits of the front-engine, rear-drive setup. We’ll have to wait a little longer to find out. A shout-out to my best friend, Dr. Zal, who graced us with his presence this weekend. His being here made the Ravens’ win over the Chargers even more enjoyable. I was in employment limbo having lost a job in July, 1987 and I had no idea what I was going to do next. I had been working for this team as a consultant since October of 1986 and actually gave them an ultimatum telling them that if they didn’t offer me a full-time job by the end of the year (1987) then I would no longer work for them in any capacity. Of course it was a giant bluff, but it worked. What would I have done if they had called my bluff? I guess we’ll never know. The best part of the day was calling my marvelous mom to give her the news. When I told her I heard the phone drop and I heard her crying with joy. She was the only other person in the world who believed I could get a job in baseball and with the hometown team, no less. It is a GREAT feeling to be right when virtually the rest of the world is wrong. While I lament my current state of affairs, I will have the memory of that day for the rest of my life. Despite my occasional protestations to the contrary, as a car nut and a Corvette nut I do care a lot about the C8. (Of course I am probably just a nut and cars and Corvettes have nothing to do with it.) I think GM/Chevrolet have A LOT riding on this car. CNBC’s Jim Cramer opined that Jerome Powell, Chairman of the Federal Reserve, has blinked. In early October Powell stated that he thought current Fed rates were far short of the “neutral” rate that neither stimulates nor dampens the economy, implying more rate hikes for 2019. Yesterday, Powell said that the rates were close to the neutral rate. Equity markets loved that news and stock prices soared. Say what you want about Jim Cramer’s on-air histrionics, but he is a VERY smart man and was very successful running a hedge fund. He has been critical of the stance of Powell and the Fed regarding interest rates and the US economy. It looks as though Powell has listened to Cramer, either explicitly or implicitly. I think it is a sad state of affairs that more Americans know who Kim Kardashian is (I don’t care if I spelled her name correctly) than who Jerome Powell is. Ignorance is NOT bliss! I love cars, but I live in the real world. As much as I despise politics, what large national governments do affects us all whether we realize it or not. In an episode of the original Top Gear, the hosts stated their opinion that Lancia has built more great cars than any other company in history. On this day in 1906, Lancia was founded. From hiconsumption.com a picture of the Lancia Stratos, one of the most successful rally cars in history. I really like the look of this car except for the box handle spoiler at the back of the roof. From thedrive.com a picture of a Lancia Fulvia. A recent episode of Wheeler Dealers featured this model. Fiat purchased Lancia in 1969. At first, the Lancia name stayed “independent” and the production of a model like the Stratos was a manifestation of that “independence.” Eventually, Lancia models really became badge-engineered Fiats. At this moment I believe the only model with the Lancia name is the Ypsilon “supermini” built on the Fiat Mini/Fiat 500 platform. If Wikipedia is to be believed, then Lancia production has declined dramatically: from 300,000 cars in 1990 to 60,000 in 2017. Lancias were sold officially in the US only from 1975 to 1982. As I have written before a Stratos model recently sold on Bring a Trailer for $440,000. I’m sorry, but does any other place exist where one can read a discussion of Fed policy AND about the Lancia automobile? If you like this blog, PLEASE tell your friends and share the blog URL (https://disaffectedmusings.com). Thanks. P.S. From corvetteblogger.com comes this news about the key fob and LOGO for the C8 Corvette being unearthed from an FCC filing. Very big news, IMO. As I wrote here, Friday doesn’t have the same meaning for someone like me who is (involuntarily) retired as it does for someone in a full-time job. Well, of course, neither does Monday. In all of my non-baseball office jobs I dreaded Monday. As I keep writing virtually nothing in life is all good or all bad; everything is a trade-off. As I have also written, the fact that someone with my skills and experience cannot find a meaningful and fulfilling work situation is not a good sign for America, even if it’s just a sample size of one. I don’t even want to work full-time, but I would relish a part-time or consulting role in which I can use my combination of analytical and communication skills to help a company make decisions. I have written about Patrick Mahomes, the starting quarterback for the Kansas City Chiefs, a couple of times. Between fatigue and the rerun of a Mecum auction I missed almost all of last night’s Chiefs-Patriots game, which apparently was one for the ages. Since I didn’t watch maybe I shouldn’t comment, but 1) the fact that the Chiefs came back to take the lead at Foxboro bodes well for them and 2) NO penalties against the Patriots is very suspicious to me. It is well-known that the Chiefs’ defense is suspect, but I think the Patriots’ defense is not that good, either. I have no idea why Disaffected Musings already has dozens of views today, supposedly all from Canada, from very few unique visitors. It’s actually a little disturbing because it seems like a prank or even like a hack. ALL blog hosting platforms should understand that bloggers have no control over what strangers do. Since the beginning of this month the number of views/visitors for Disaffected Musings has increased dramatically, for which I am grateful, but that increase seems organic unlike today’s activity. From silodrome.com a picture of a 1965 Ford Mustang. While I am tired of seeing an endless parade of Mustangs/Shelbys at car auctions I do appreciate the significance of the car. I have recently developed an affinity for the hardtop coupe (pictured above) of the first generation Mustangs up through 1968. A lot of Ferrari 488 in that design as the autoevolution article points out. 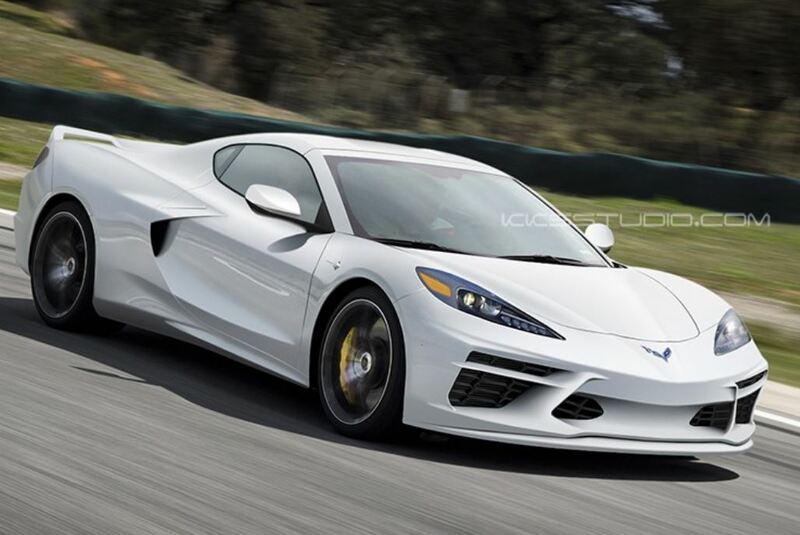 So many drawings and renderings have emerged regarding the C8 Corvette that it’s almost too many, almost. 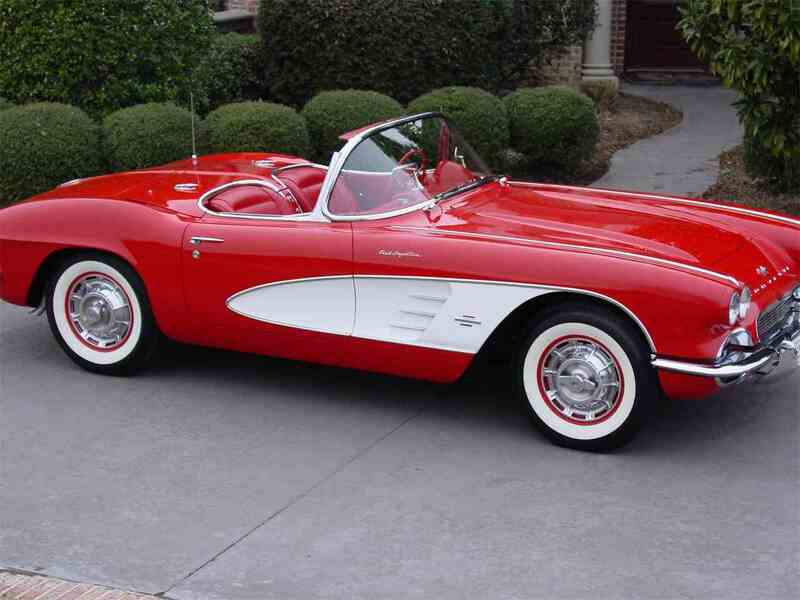 I still think the C2 Corvette (1963-1967) is the best looking American car ever (yes, I broke the moratorium which lasted 18 days) and with a restomod I can get a C7 in performance that looks like a C2. In any event, here’s hoping that the C8 will debut early in 2019. Obviously from Car and Driver a picture of their take on the upcoming C8 Corvette. This is supposed to be the Vette that is “finally” mid-engined, as Corvette savior and guru Zora Arkus-Duntov would have wanted. Word has been frustratingly scarce in terms of details, but GM/Chevrolet are not obligated to reveal details before they formally introduce the car. The prevailing “wisdom” has been that the C8 and C7 will be produced simultaneously for a couple of years, a Corvette first. Then, the C8 will be the only production model, but that it will be available with three or even four different engines. The word “e-Ray” has been trademarked by General Motors/Chevrolet leading to speculation that some type of hybrid drive-train will eventually be available. Who knows? Maybe it will be like the McLaren P1 or Ferrari LaFerrari in that it will use electric motors to boost output, maybe past 1,000 HP and 1,000 LB-FT of torque. As has been reported in several venues the 2019 Chevrolet ZR1 has set a new lap record at the Virginia International Raceway. Just think, the ZR1 is certainly not as fast as the fastest C8 Corvette, which will be shown in public for the first time in the near future. I am conflicted about the C7 ZR1, which has external wings. I do not really like external air forms on a car, but they are more effective than integral features. What do you think? From jalopnik.com (a decent website, but IMO it has too much politics). Looks like a Lamborghini and that is a compliment. You Corvette fans (and I am one as well), what do you think of the recent news and speculation?